I don’t normally pick up soundtracks, mostly because I don’t assign them the same value as my other records. I find it a lot harder to invest the time or develop an emotional connection with a soundtrack, especially when the tracklist exists as fragments or snippets of a movie. I find that with most soundtracks they just don’t work as well without the visual accompaniment. Maybe I haven’t been listening to the right soundtracks, or maybe I’m simply not able to appreciate their appeal. 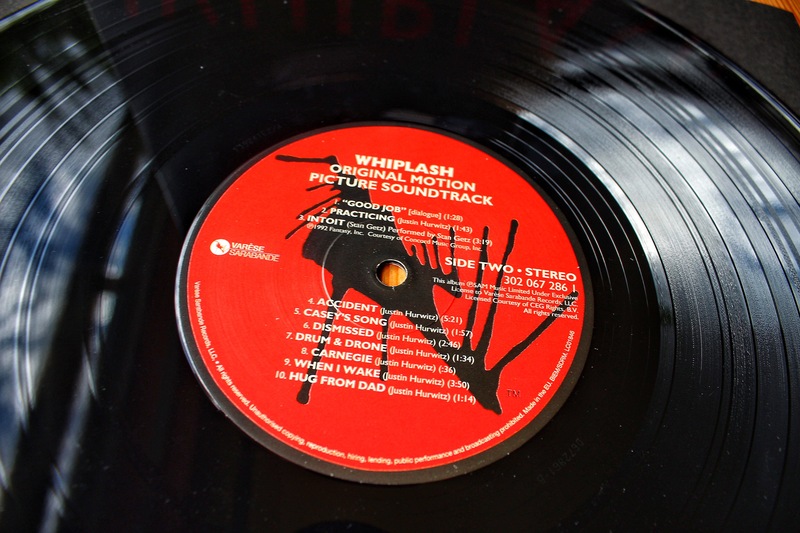 As such, I only own two soundtracks on vinyl, those for Netflix hit show Stranger Things and the soundtrack to Damien Chazelle’s breakout masterpiece Whiplash. 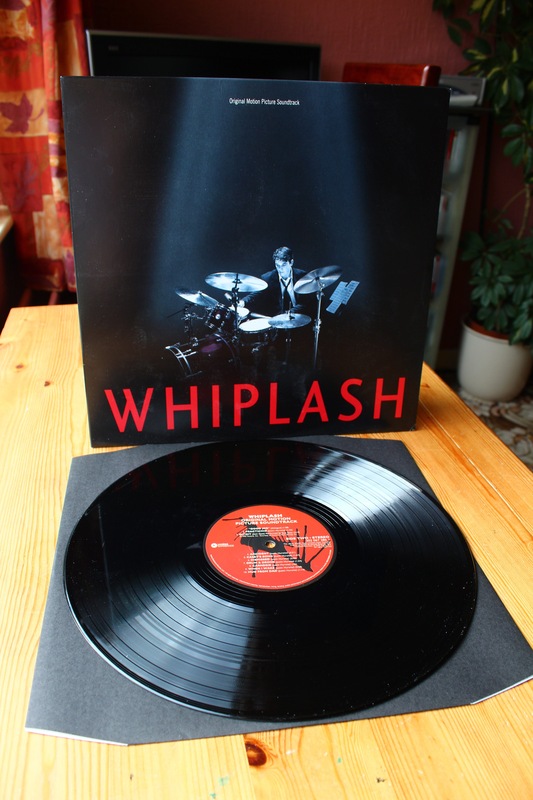 When I think about my favorite films, I think about Whiplash being up there, and its soundtrack is up there as well when I think about my favorite scores. The movie tells the story of promising jazz drummer Andrew Neiman (Miles Teller) and depicts his rise through the ranks of a contemporary jazz school under the forceful instruction of Terrence Fletcher (J.K Simmons). The story is a rollercoaster of conflict between these two characters, mainly due to the way Fletcher manipulates and harasses Neaman. It’s a gripping narrative, and it makes for an incredibly tense movie. Those who’ve seen the film will likely attest to this. Those who haven’t seen the film… they should see it. It’s an edge of your seat movie, the tension manufactured by stellar performances, stellar dialogue, a stellar script, and a stellar soundtrack. The music, which is almost exclusively jazz complements the visuals especially well. During scenes which possess almost an interrogative quality, the soundtrack slowly builds, the tension of the moment bubbling through the soundtrack and threatening to boil over. During ambient downtime, the soundtrack cruises, softly contemplative as Neiman reflects and internally rebels. It’s a masterful accompaniment. Whiplash is a movie for those who love jazz, and its soundtrack certainly takes the genre beyond the realms of elevator music. The score is one which lives and breathes authentic jazz, far more than a coffee shop soundtrack. It’s curated by those who know the genre and know it well and, as such, it’s a remarkable collection.